Shrewd consumers should be stocking up on this wine as it is both sensational and realistically priced. Once one of the most appallingly mediocre classified growths of the Medoc, this estate’s resurrection started around 2000, hitting its full stride in 2001, and proprietor Bernard Magrez continues to build on that success. A blend of nearly equal parts Cabernet Sauvignon and Merlot with small amounts of Cabernet Franc and Petit Verdot, the inky/blue/purple 2005 possesses a beautiful nose of graphite, flowers, creme de cassis, incense, and a touch of new barriques. Full-bodied with crisp acidity, sweet tannin, and excellent definition and freshness, this sensational sleeper of the vintage should be at its finest in 8-10 years. Anticipated maturity: 2015-2030. A pretty wine, with vanilla, currant and berry on the nose and palate. 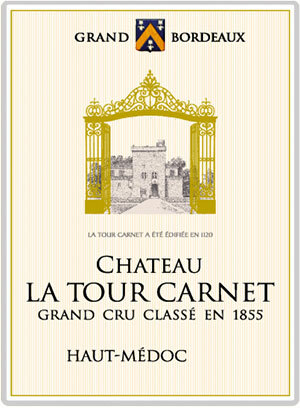 Full-bodied, with toasty oak and currant notes and ripe, polished tannins. Best after 2013.